Adrian Botan is Global Executive Creative Director at McCann Worldgroup. Before that, he was Creative Director at McCann Erickson Romania, which was named one of the top 50 creative agencies in 2007 by the Gunn Report. 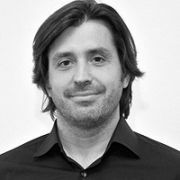 Since 2006, Adrian has also served as Regional Creative Director for Central Eastern Europe at McCann Erickson. He is also Deputy Managing Director and Executive Creative Director of McCann Erickson Bucharest, founding member and Vice President of the Romanian Art Directors Club and Vice President of the Romanian Advertising Agencies Association.